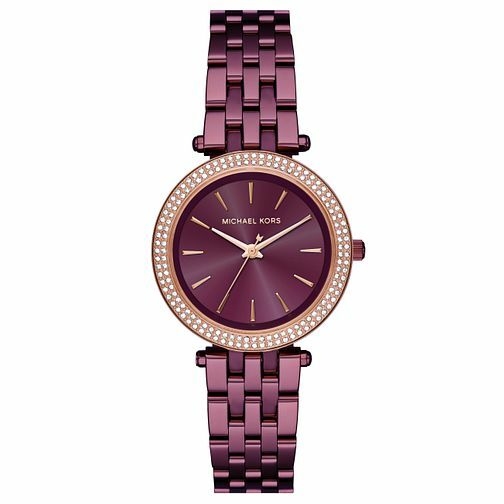 Chic glamour from American fashion label Michael Kors with this colourful plum-hued timepiece from the Darci collection. An impressive plum-hued dial beautifully complemented by its sparkling stone set bezel. A stylish matching four-link-bracelet offers a contemporary edge.